This entry was posted on Wednesday, March 4th, 2015 at 4:12 am and is filed under business, business as usual, business ethics, C.E.O., co-workers, corporate culture, executives, greed, human resources, jobs, labor, labor relations, money, relationships, staff meeting, Wall Street, work relations. You can follow any responses to this entry through the RSS 2.0 feed. You can leave a response, or trackback from your own site. 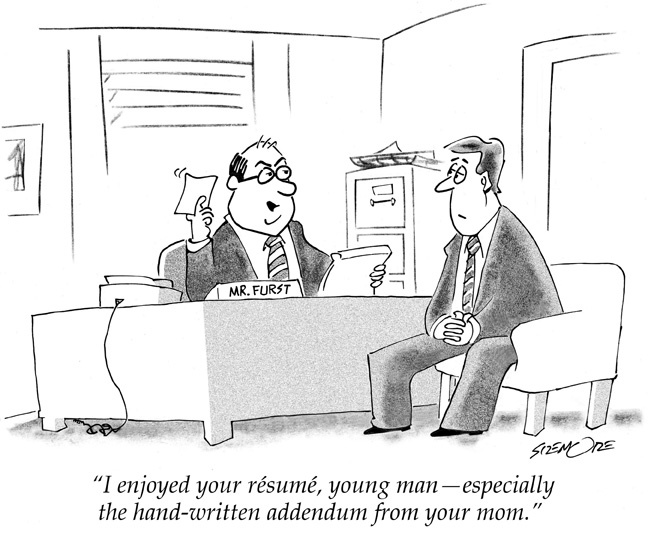 This makes me smile, especially since I’ve recently been coaching my son as he updates his resume! Thanks for the comment, Sue. Glad to see that one of my cartoons has a direct tie-in with real life (most unusual). Hope to see you at FNSDC a week from Friday — the band on the 13th is one of my favorites . . .